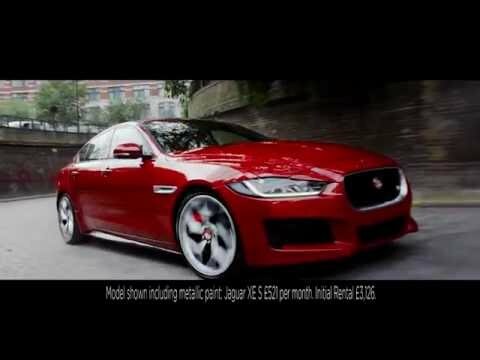 Safety and Technology The InControl Touch system is just the start, as the Jaguar XE includes a range of other premium technology, with Head-Up Display, All Surface Progress Control, Torque Vectoring by Braking, and Jaguar Drive Control making sure that you are well equipped and fully prepared for the journey ahead, no matter what it decides to throw at you. This is improved by the introduction of All Surface Programme Control, which has been developed from Land Rover's Terrain Response technology, and increases safety and performance by controlling engine output, brakes, and differential to help negotiate even the trickiest conditions. Safety is further improved by the inclusion of Blind Spot Monitoring, Adaptive Cruise Control, which can maintain a pre-set distance to cars ahead, and a camera system that provides a 3D view of the road ahead and allows for use of the Autonomous Emergency Braking (AEB) and Traffic Sign Recognition systems.